Though sentiment following Apple's earnings call for the first quarter of fiscal 2013 was overwhelmingly negative, one analyst believes the call deserves a second look to highlight the positives, including the company's strong cash flow. Ben Reitzes of Barclays issued a note to investors on Tuesday in which he declared Apple's most recent quarterly earnings call as one that "deserves another look." 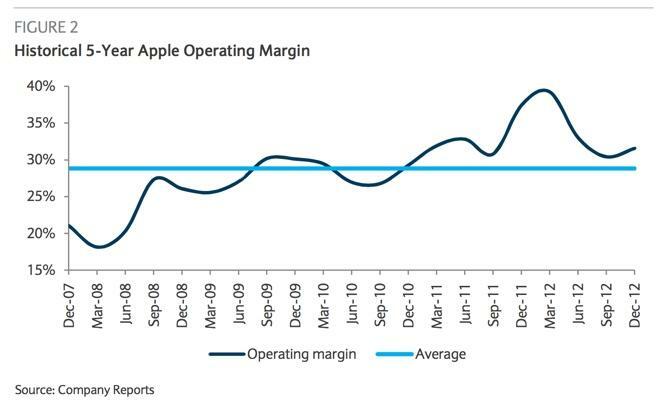 Barclays has an "overweight" rating for AAPL stock with a price target of $575. Reitzes noted that while investors have shown concern about competition and execution, he believes there were "major positives" during the earnings call. In particular, he noted Apple's strong cash flow, and a conservative margin outlook that he believes could "grow on investors now that the damage is done." He believes Apple could hold an event by April to debut new iPads and Macs, as well as potentially preview the next version of iOS. Reitzes also expects that Apple will ship two new iPhones this summer, as recent rumors have suggested, though he doesn't expect that either model will feature a screen larger than the 4-inch display on the iPhone 5. 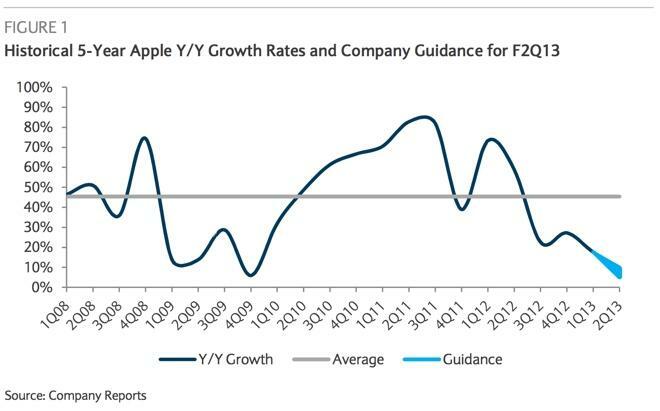 Reitzes also said that investors may not fully appreciate the opportunity for growth that Apple has in China. He noted that sales for the iPhone doubled in greater China during the December quarter, even though the iPhone 5 was only available for a portion of the quarter. And another positive for the company comes from the fact that demand for the Apple TV remains strong despite what he characterized as an aging product. During the December quarter, Apple sold more than 2 million units  an increase of 60 percent year over year. "The current iteration of Apple TV was introduced in September 2010 with a performance update in March 2012," he said. "We believe the product's performance in the December quarters shows that the TV interest is there and there is demand for an Apple presence in the living room. We are looking for Apple to release a more comprehensive television solution based on services that are integrated with hardware sometime in the next year." Some analysts have come out in support of Apple after the stock took a tumble following last week's earnings report. On Monday, Chris Whitmore of Deutsche Bank issued a note to investors saying he doesn't believe the company's current stock price accurately reflects the "stickiness" of Apple's iOS platform, which will keep users buying Apple devices in the future. "iOS users have made a significant investment in time and dollars into the iOS platform, and as a consequence the switching costs are remarkably high," Whitmore said.